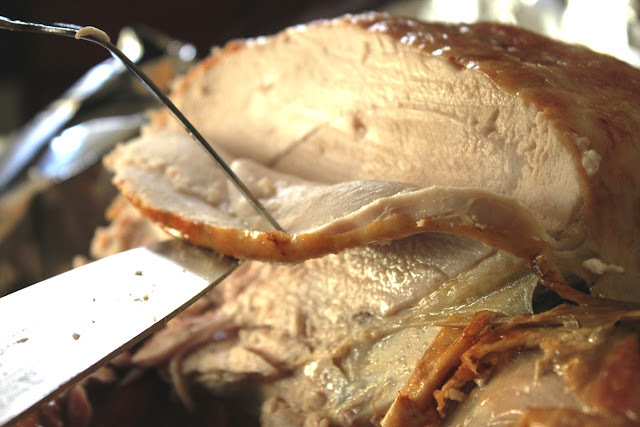 This recipe is my absolute faaaaavorite for turkey. 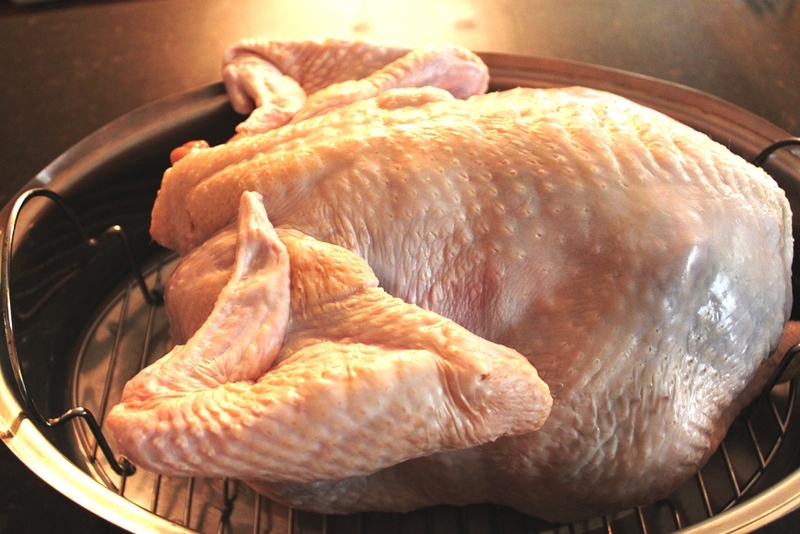 I first brine the turkey overnight and then I roast it, based on Marcella Hazan's chicken method - starting out breast side down and then flipping it over partway through roasting. You would not believe how juicy this makes the white meat. Seriously. It's unreal. As you follow through the recipe below, at first it looks like there are a lot of steps. But nothing is complicated and there's zero guesswork - which I love. I've been roasting turkey for ten years now, but I still always get a little nervous, and there's something reassuring about having a list of steps to follow. If you have questions, definitely ask them! Next up - Sage Stuffing. AKA Sage Dressing. What does your family call it - stuffing or dressing?? Brined turkeys don't generate as much drippings as you might be used to, but oh my lands, it makes for incredible gravy. 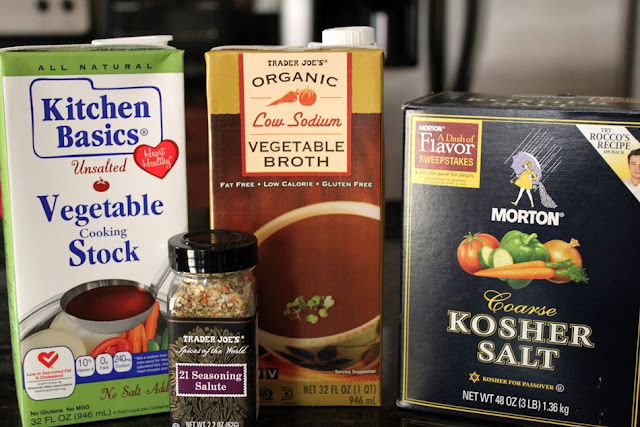 It's so flavor-packed that you can add broth and it still tastes just amazing. In a large saucepan, combine the stock, broth, salt, and spice(s). 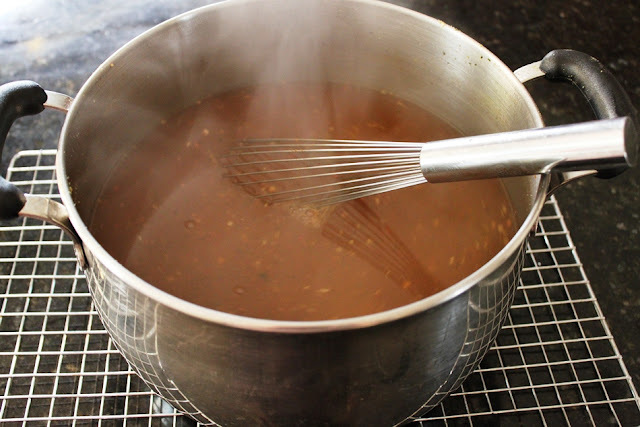 Bring to a boil, stirring frequently to ensure the salt is completely dissolved. Remove from heat and let cool to room temperature. 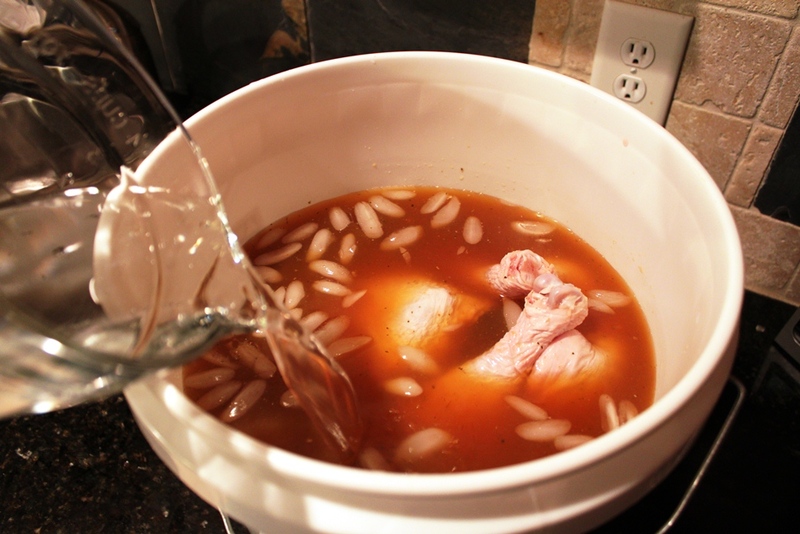 When cooled, pour the brine into a clean 5 gallon bucket lined with a brining bag. Stir in the ice water. 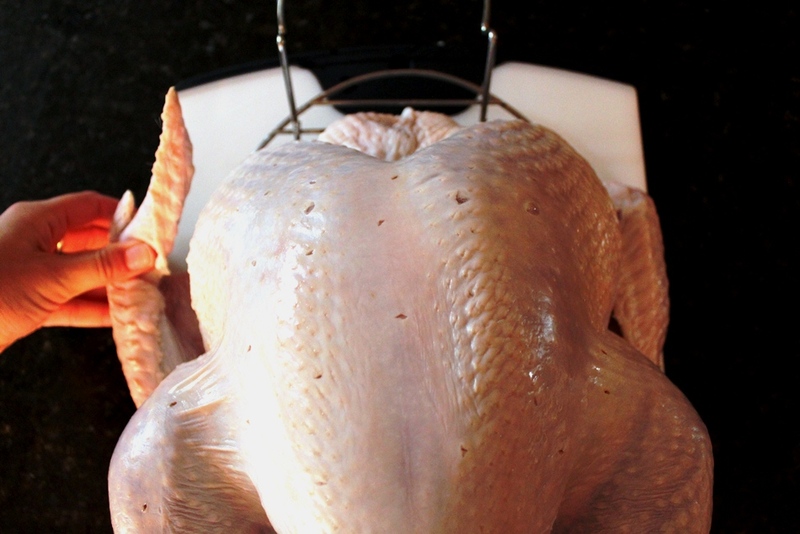 Remove the giblets from the turkey's cavity and reserve in a container in the fridge (to use for making stuffing). Rinse and pat dry the turkey. 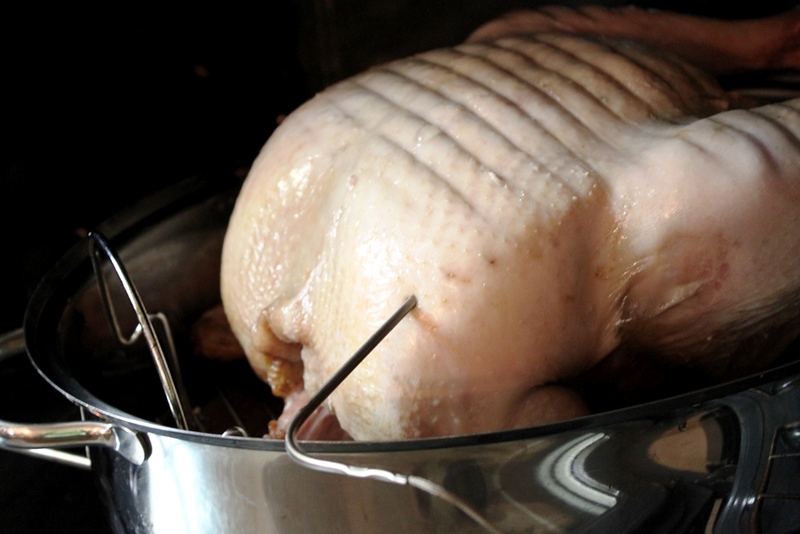 Place the turkey - breast side down - into the brine, making sure the cavity is filled with brine. Place the bucket in the fridge (or equally cold place) overnight, 8-16 hours. Preheat the oven to 325 degrees, with the rack on the lowest level of the oven. 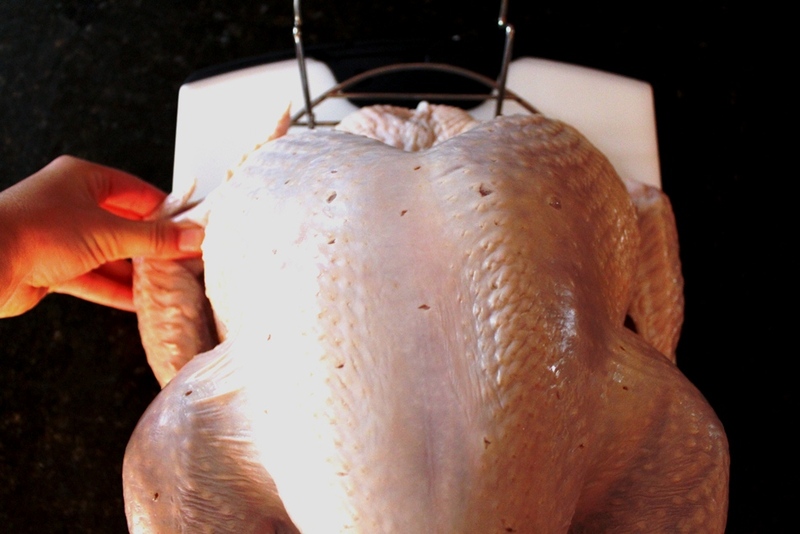 Remove the turkey from the brine and rinse completely with cold water, including the cavity. 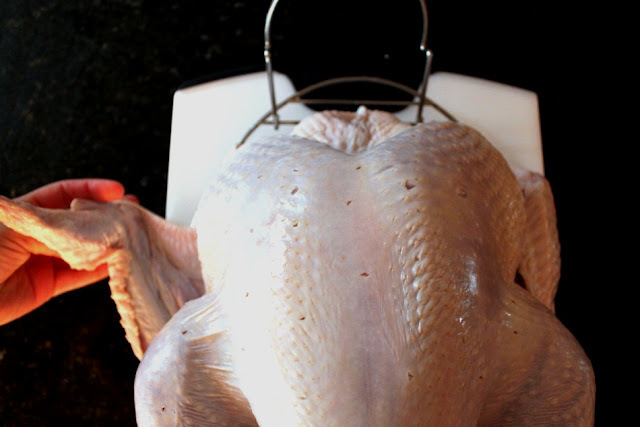 Place turkey onto roasting rack in a large roasting pan and pat dry. Put the aromatics into the cavity. 2 hours if it weighs < 18 lbs. 2.5 hours if it weighs 18-21 lbs. 3 hours if it weighs > 21 lbs. Then, using silicone pot holders, flip the turkey over. Insert probe thermometer into the thickest part of the breast, and return the turkey to the oven until it reaches 155 degrees, about another hour. 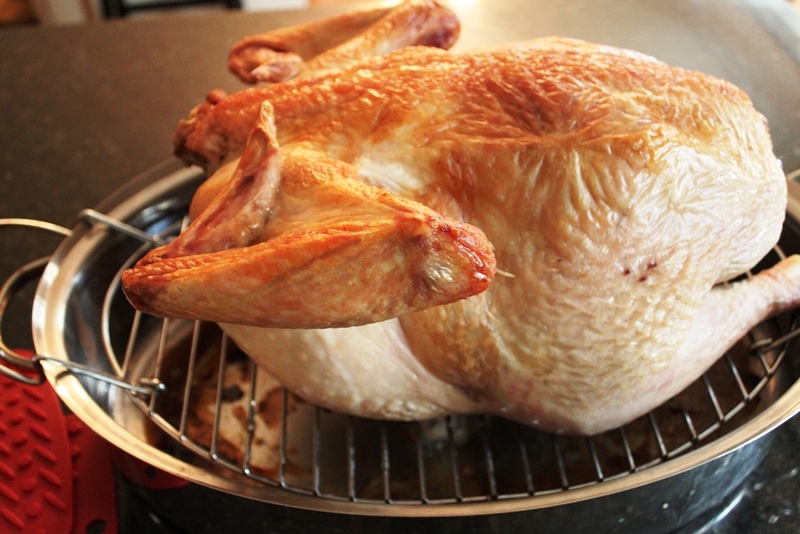 Open oven door and quickly rub butter over the skin and raise oven temperature to 400 degrees. 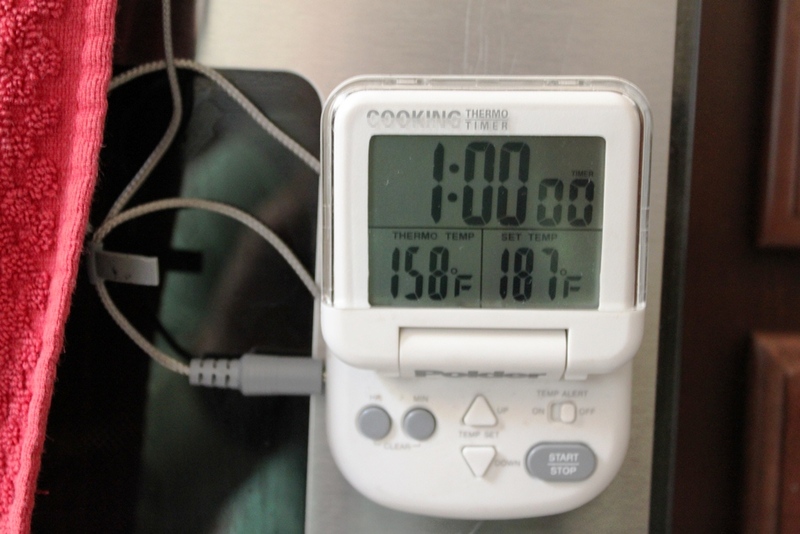 Finish roasting until the probe thermometer reaches 161 degrees, about another 15 minutes. 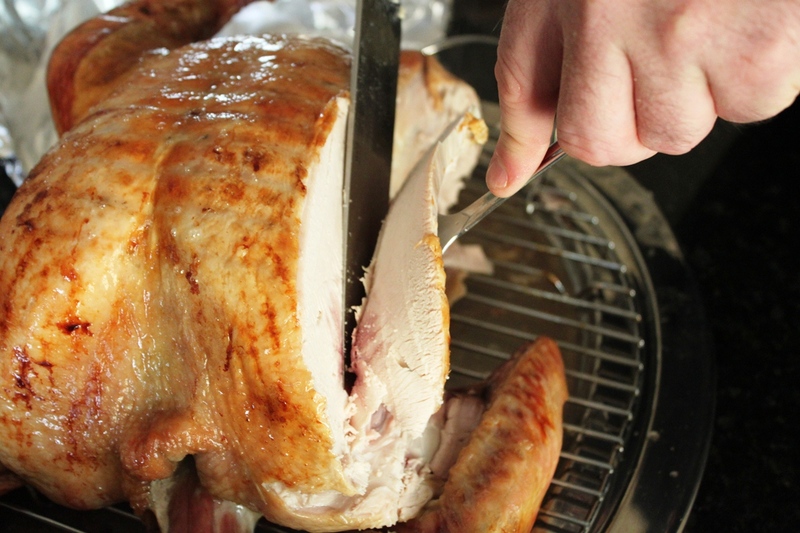 Remove turkey and roasting rack from pan and loosely cover with foil and let rest for 15-30 minutes before carving. 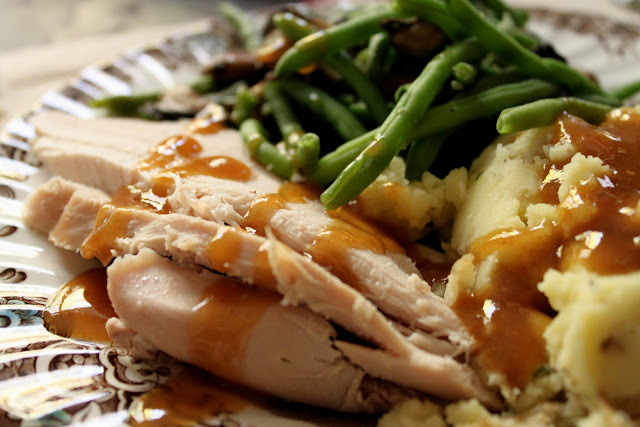 Note: While turkey is resting, use roasting pan and its drippings to make gravy. 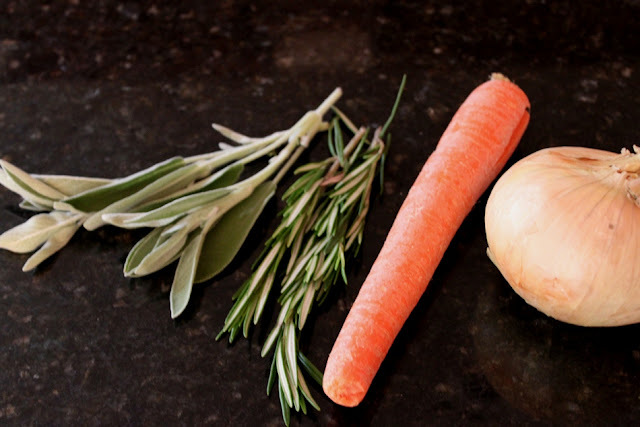 Allow brine to cool completely. and top off with additional ice water, if necessary. Then, lift the roasting rack up out of the pan, and use silicone pot holders to flip the turkey. your desired temp. No need to open the oven door until it beeps. 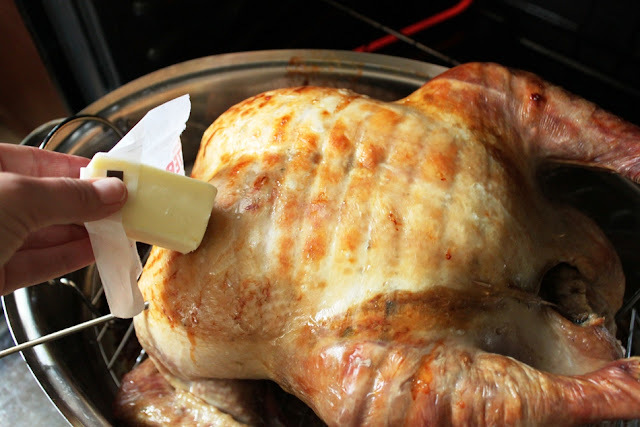 Quickly rub skin with butter and raise oven temperature to 400 degrees. 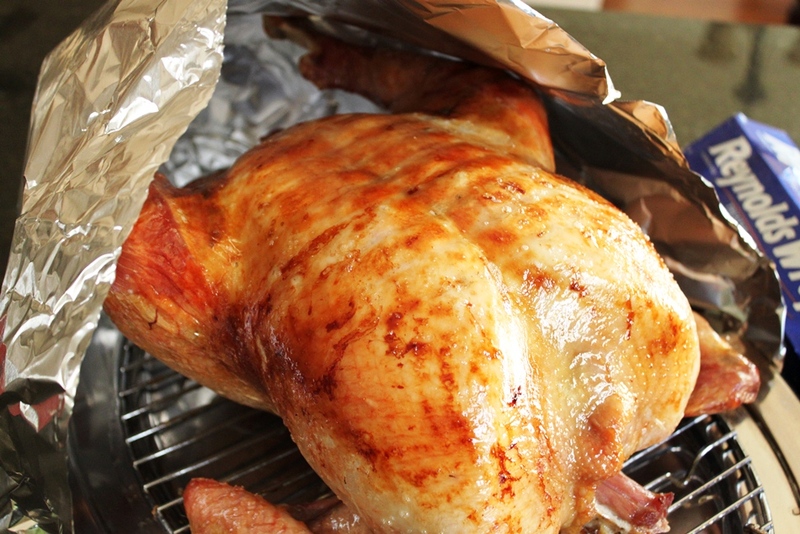 When turkey reaches 161 degrees, remove from oven and loosely tent with foil for 15-30 minutes.